Who says you can’t have an adventurous weekend getaway in your own backyard? Although I grew up in Montgomery County (shout out to Cheltenham!) and currently live not too far away in Philadelphia, there’s a lot I don’t know about the county I called home for 25+ years of my life. 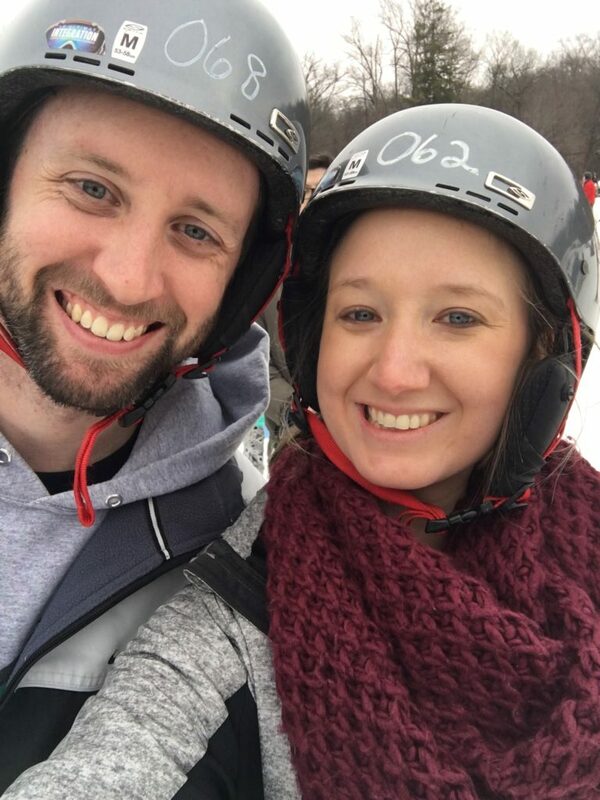 We worked together to plan a winter getaway for adrenaline junkies, and last weekend, me and my boyfriend Tim set off on an adventure. Ready for a gutsy weekend of your own? Follow this 36-hour itinerary! Is skydiving on your bucket list? Confession: It’s never been on mine. Despite my love of all things getting gutsy, I’ve never once felt the desire to jump out of an airplane. Indoor skydiving? Now that’s another story. iFly says, “We make the dream of flight a reality by giving our customers ‘wings’ in a safe and reliable environment.” Much more my speed. We arrived at iFly bright and early for our 8 a.m. start time — nothing like a little fly session to get the weekend off to a solid start! The experience began with a welcome from our experienced instructor David and a safety video. Because you can’t speak or hear in the wind tunnel, iFly instructors use hand signals to help you fly — offering reminders to relax, bend your legs and straighten your legs. After the video, we suited up, strapped on helmets, and our group of 10 headed in for flight! Seated on a bench directly outside the wind tunnel, it was time! I was shocked at how quickly it was all happening, and how little we had to do before taking flight. There’s Tim! It was crazy watching him fly — he did awesome! The instructor stays with you the entire time, offering hand signals to make your experience better and letting go of your body when you’re in the right position. However, the instructor is *always* there and *always* close enough to you to grab hold, if needed. The fly lasts for one minute total. And then it was my turn! With butterflies in my stomach, I made my way to the tunnel entryway and before I knew it, I was flying! The experience was truly exhilarating. While you’re flying, you really have no time to think about anything other than following your instructor’s cues and enjoying the incredible feeling of zero gravity. And then it was done! With shaky legs, I made my way to the back of the line to watch my fellow fliers. After everyone went through one round, we got to go again. 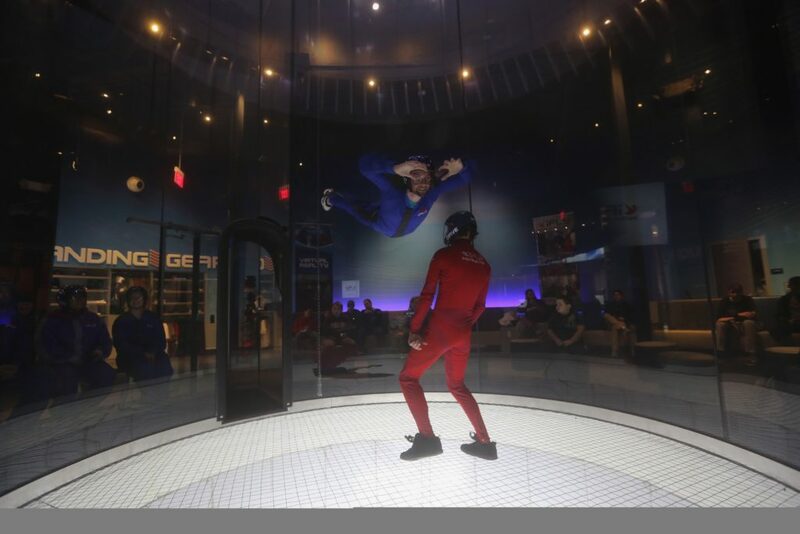 In total, the iFly experience offers two, one-minute fly sessions (with options for upgrades). Opt for the high fly, which is an additional $10. We opted out, but after watching others in our group, we wish we would have given it a try! Bring a spectator friend. iFly takes photos/videos available for purchase (those are the photos you see in this post), but we noticed that others in our group brought along friends who weren’t flying to take personal photos and videos. When in King of Prussia, right? Since we were already down the street from the mall, and knew our lunch plans were here too, we decided to take a stroll through one of the most iconic malls in the country. Did you know? The KoP Mall is the second largest mall in the country behind the Mall of America and contains more dedicated retail space than any other shopping mall in the United States. If you haven’t been recently, it’s definitely worth the trip to check out the newly-renovated section of the mall featuring a swanky food court called Savor, more stores and a super nice seating area with charging stations. Believe me, if you’re spending the day traversing the 400+ stores at the mall, you’ll need to make a stop for a little rest and rejuvenation. Lunch and a cocktail was a must to shake off those post-fly jitters! 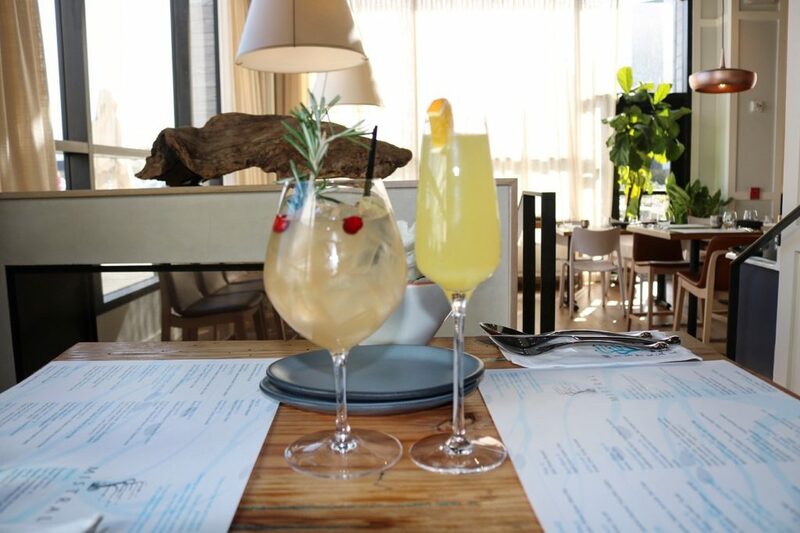 Located within the King of Prussia Mall, Mistral is anything but your typical mall restaurant. First, just take a look! This place is stunning. 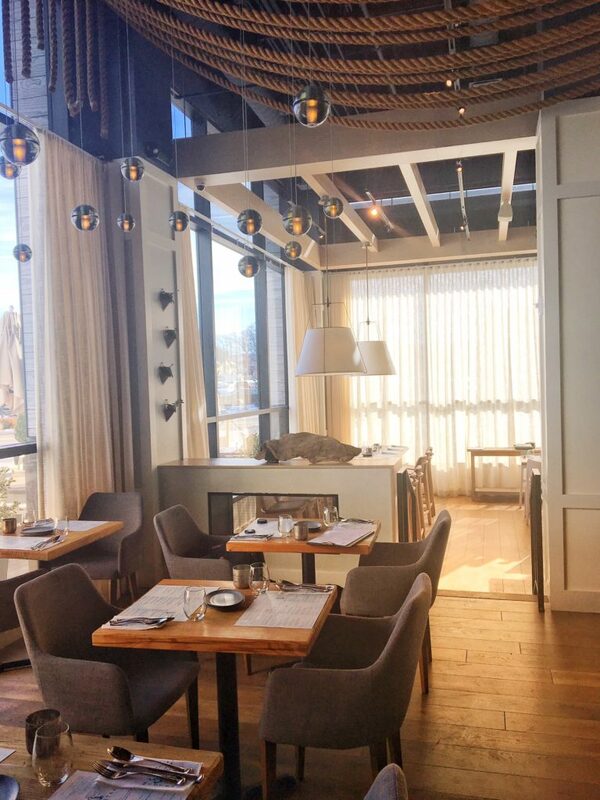 I was immediately impressed by its bright and airy ambiance, and was happy we got there a little early to snap some pictures before the lunch crowd filled the place. After browsing the menu, I immediately opted for the white sangria, but this wasn’t your average white sangria. This sangria tasted like tropical Christmas with cranberries and a sprig of Rosemary in the glass. And then there’s the creative menu. I’m a bit of a picky eater, but even I went a bit outside my culinary comfort zone with a starter of bacon beignets (yum!) and the heirloom grain bowl with chicken. Tim ordered the seared scallops, and said they were among some of the best scallops he’s ever had. Ever been to an escape room? I did my first a few months back, and loved the experience, so when I was introduced to 5 Wits (located in the Plymouth Meeting Mall), I was immediately interested. But here’s the thing, 5 Wits is *not* an escape room. It’s much more. Described as “a live-action, immersive adventure experience within a realistic, hands-on setting” when you choose a 5 Wits adventure (there are three at the Plymouth Meeting location), you are thrust into the scene to figure out puzzles and challenges to progress through multiple rooms. 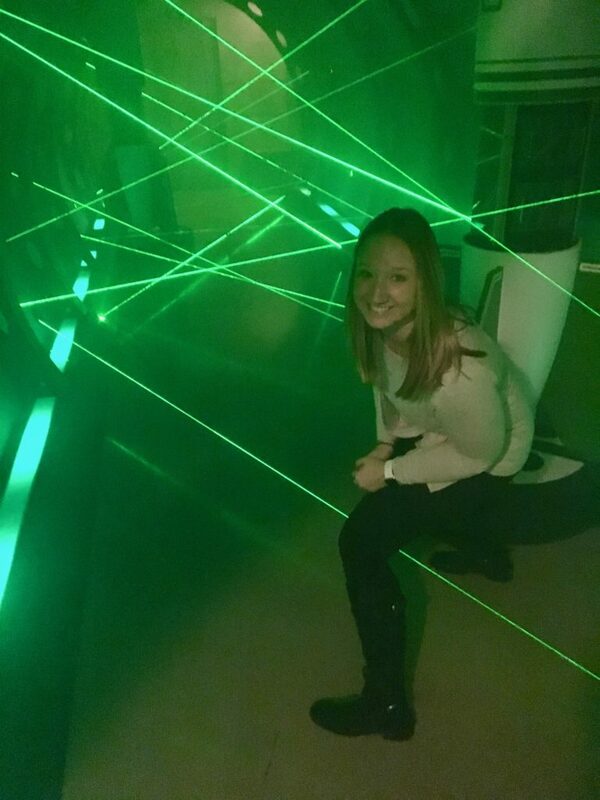 Think: literally climbing through a crawlspace to get into the room and then climbing over and under laser beams to get to the next challenge. I won’t say more because I don’t want to ruin your unique experience! You’ll get the most bang for your buck if you purchase the 3-adventure combo for $29.99 + tax. You don’t have to do all three adventures in one day — you’ll receive a token to come back later! Adventures can host a minimum of two people and a maximum of 15 people. In our experience, two felt like a small number, so I’d recommend going with a group of at least four or five. 5Wits is located directly across from LegoLand in the mall. Plan a family day and let the older kids/adults have fun at 5Wits while the little ones play at LegoLand. Prior to checking into the hotel, we had a bit of time to wander up and down the Main Street of Skippack, a unique small town in the heart of Montgomery County. Filled with mom and pop shops and restaurants, we especially enjoyed ducking in to Green Wolf’s Village Barn Shoppes. 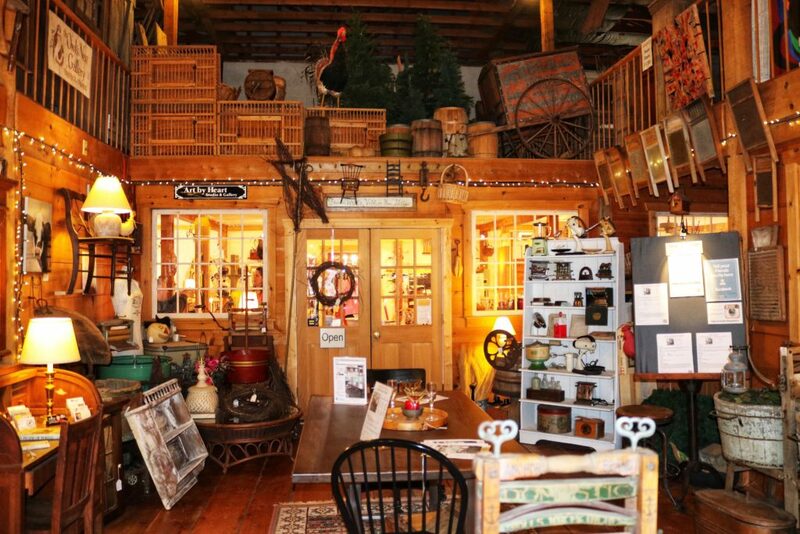 The family-owned barn features six different shops for art enthusiasts of all kinds. 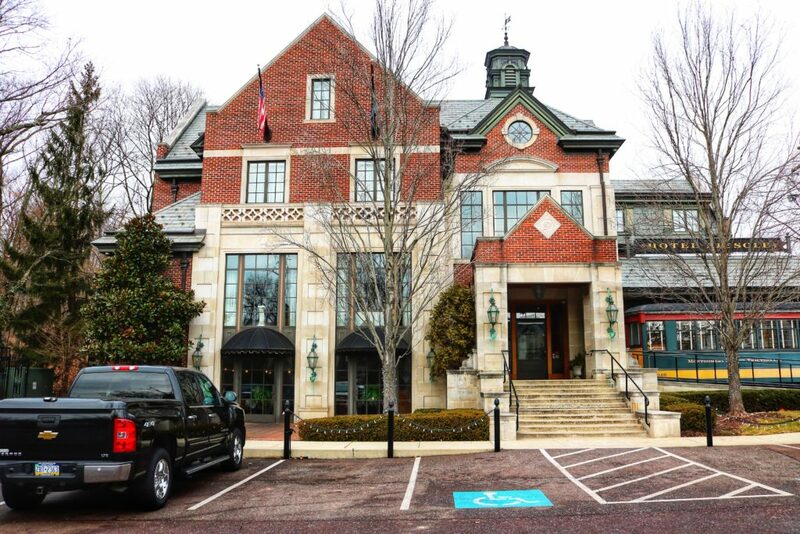 After a long and adventure-filled day, we were excited to check in to the Hotel Fiesole right in Skippack Village, a short walk away from many of the wonderful shops. 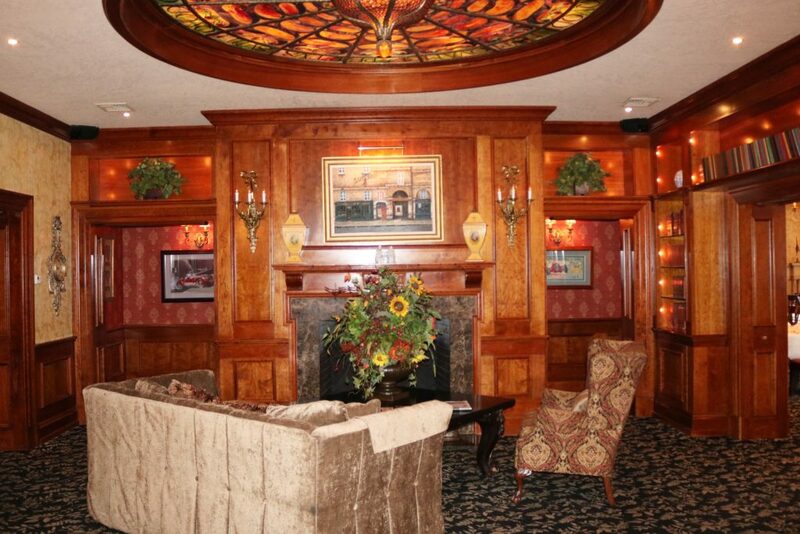 With 16 guest rooms, Continental European cuisine served in both fine and casual dining atmospheres and an entertainment lounge, once we checked in, we literally had no reason to leave until check out time in the morning! I loved exploring the hotel’s fabulous relaxation area. Every intricate detail in this room appears perfectly planned to give you a warm and home-y vibe. After a quick nap, we popped downstairs to the bar for a pre-dinner glass of wine. The bar was buzzing on a Saturday night! We were seated for dinner at Mistral, the hotel’s elegant fine dining restaurant. Our meal began with oysters on the half shell, followed by filet mignon with the world’s most perfect brussels sprouts. Dessert and a flight of port wine completed this culinary adventure and needless to say, we left quite stuffed and very satisfied! 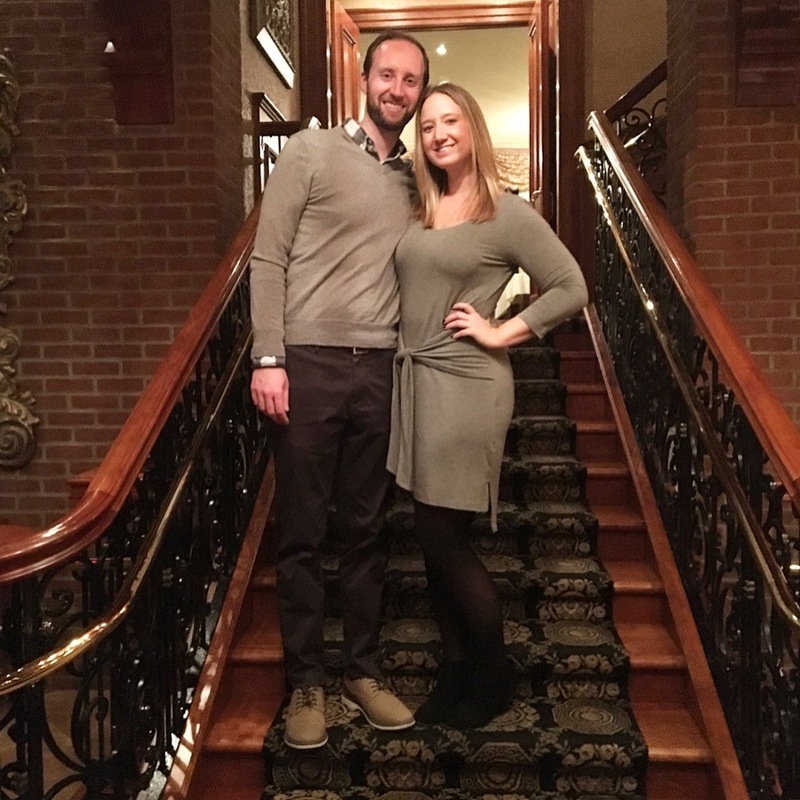 After dinner, we heard there was live entertainment in The Rathskeller lounge, so we burned off some dinner calories dancing to oldies in the downstairs lounge. After a restful night’s sleep at the Hotel Fiesole, we drove ten minutes to the nearby Woodside Lodge to fill our bellies for a day of downhill adventure. We got to chat with the lovely Gayle Buckman (one of the owners of Spring Mountain Adventures and the Woodside Lodge) and indulge in eggs Benedict and delightfully fluffy blueberry pancakes before hitting the slopes. The last time I went skiing I was 16 and cried at the top of a mountain I was way too inexperienced to be attempting to ski down. So needless to say, skiing left a bad taste in my mouth, and for the last 13 years, I’ve lived a blissful, ski-free life. Until this past weekend. It was time to get over my fear and replace my last ski memory with some new and positive ones at Spring Mountain Adventures. This time, I decided to start at the beginning. Tim also hadn’t been skiing in many years, so we opted for a private lesson. After getting our rental gear (Spring Mountain has everything you need — boots, helmets, skis, poles) we headed out to meet our ski instructor Michael. Lessons last for one hour, and I was nervous it wouldn’t be enough time to fully feel confident to ski after on our own, but I was so wrong. 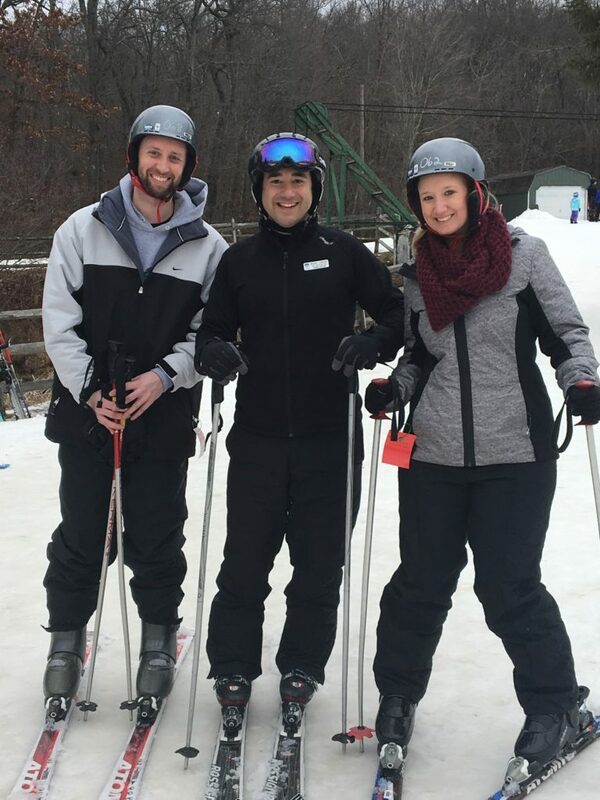 After one hour, thanks to Michael’s awesome teaching, we felt like ski pros! 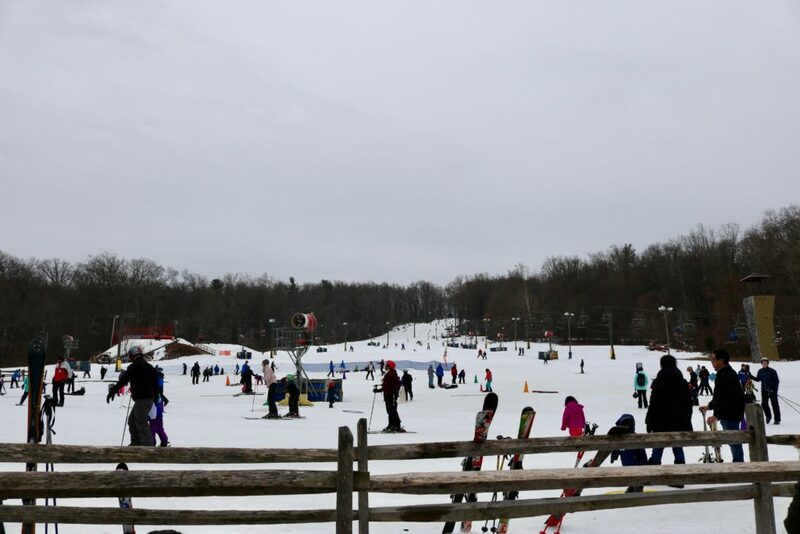 We started at the bottom of the hill and learned the basics — food analogies definitely helped (French fries for parallel skis, pizza wedges for braking and turns). Not only was Michael knowledgable, he was also super personable and hilarious. We practiced a couple of drills on a small downhill, and then headed to the ski lift. Michael joined us on the lift and walked us through every step of our first run down the mountain. 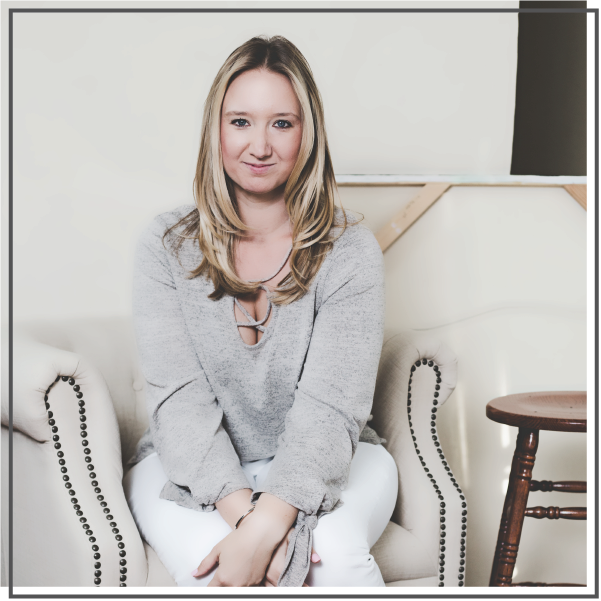 It was around the time we got to the top of the mountain that I started feeling a little panicky again — that 16-year-old in me started to emerge. Michael quickly calmed my nerves. After just an hour with me and Tim, the man truly knew the way to get through to us. We broke the mountain down into bits, and before I knew it, we were at the bottom of the mountain, and I had successfully skied, sans tears this time! Once our lesson ended, me and Tim did more runs on our own, getting a little more daring each time. I already can’t wait to go skiing again, and think I’ve convinced my whole family to come along with me! Taking a private lesson? See if you can request Michael! I am sure all of the instructors are wonderful, but we really had the best experience, and would recommend him to anyone. If you plan to rent a locker, bring $1 bills. It’s the only bill the machine takes. Be sure to arrive at least 45-minutes before your lesson time — it can take a bit of time to get all the equipment you need and change into your ski gear. Spring Mountain is what’s known as a “feeder” mountain, meaning it’s a smaller mountain, perfect for beginners and often within a close drive to a city center. Montgomery County is 18 miles from Philadelphia and halfway between New York City and Washington, D.C. The Valley Forge Tourism & Convention board website is a wealth of information for those planning a visit! They have an awesome winter hotel package right now. As part of my weekend in Montco, I took over their Instagram account! Check out my posts from the takeover: intro post, indoor skydiving, lunch, shopping, Hotel Fiesole, skiing and relaxing at the Hotel Fiesole. Thanks for an awesome and adventurous weekend, Valley Forge! We’ll definitely be back soon! Have you ever been to Montgomery County, PA? Would you ever go indoor skydiving? What about skiing? Let me know in the comments below! This post is brought to you by the Valley Forge Tourism & Convention Board. Many thanks for your hospitality and hosting me for a gutsy weekend! All opinions, as always, are my own.